The Stern - Weimar 4680! Visions of East Germans huddled around, listening to Radio Free Europe! Early Beatles musick from Hamburg! 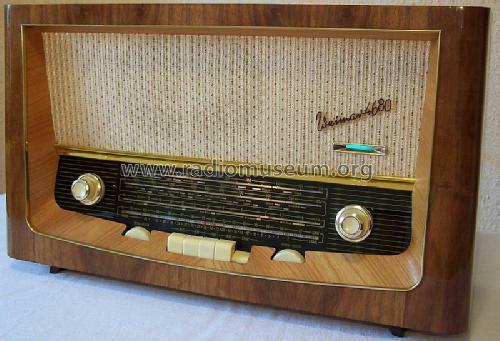 Looks much like a Grundig of the same period. Dunno why but they have a very distinctive look about them. 2. Looks much like a Grundig of the same period. This one is from the other side of the wall. Just sent payment privately via paypal, German ebay allows this, but U.S. doesn't. She has a 100% + rating, so I should be good. If she burns me, I won't get a refund, but I can ding her and call her a Schlampe.